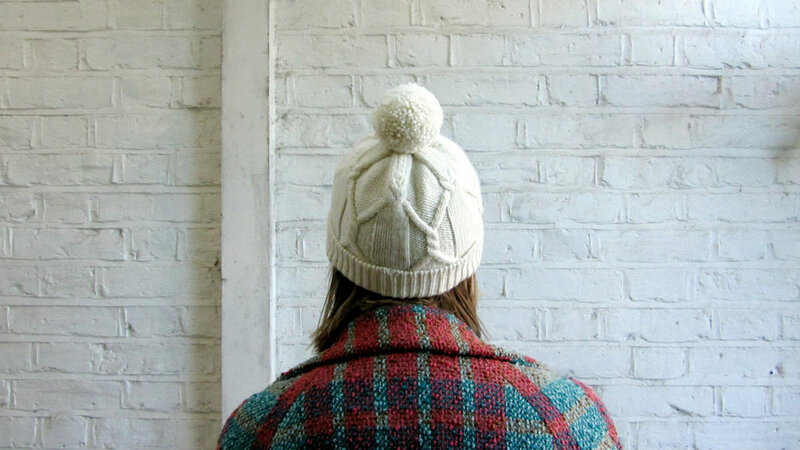 Rilo is a slouchy, cabled hat with a foldover brim and an optional pompom. 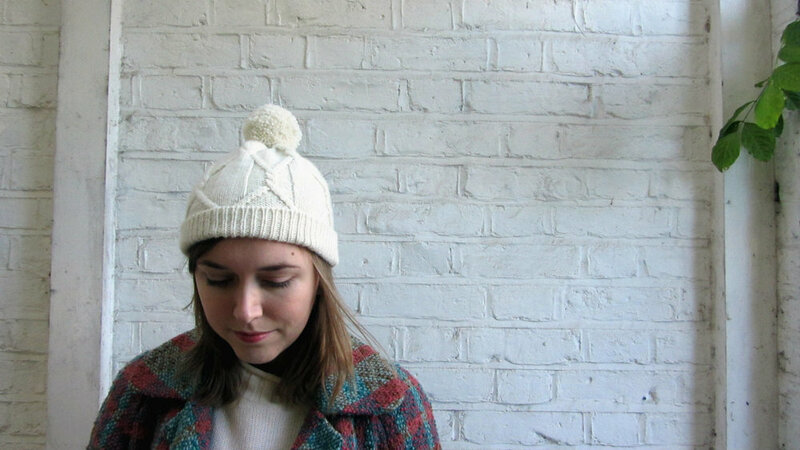 It's the perfect casual hat to wear daily, whether it's on your morning commute to work or on long walks by the canal on a wintry weekend. It is constructed in the round using the magic loop method, however, please use an alternative method if you prefer. I have chosen to knit this in Blacker Swan, which is a gorgeous British-made merino yarn, made from fibre from the Falkland Islands. You may substitute it for an alternative DK yarn, but I suggest that you stick to solid colours or subtle tweeds, so that you don't lose the stitch. The fit is very relaxed with only a small amount of negative ease. If you are looking for something fitted, I suggest going down a size. 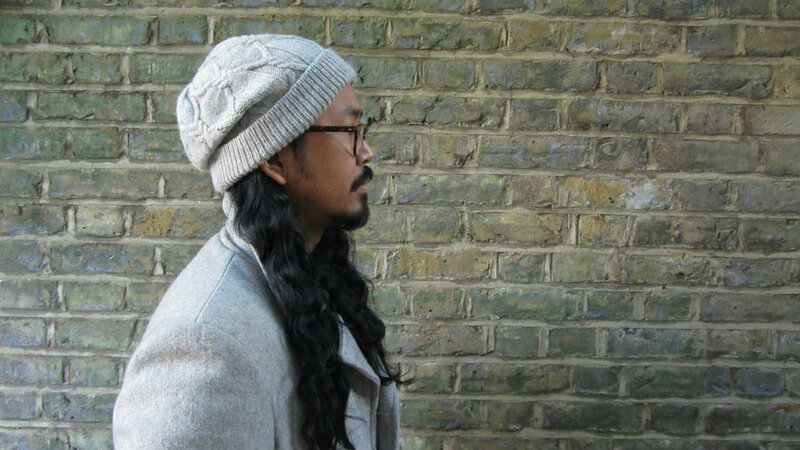 Here, I am wearing the "adult" size hat with only a small amount of negative ease for a slouchy, casual feel. For a more fitted look, consider going down a size. Here, I am wearing the 'child' size hat with plenty of negative ease, yet it is still very comfy. To get a FREE copy of the Rilo pattern, simply sign up to my newsletter, The Sisterhood, and I shall send it straight into your inbox.